Recent clients provide the best means of demonstrating the diverse solutions that BP Automation can achieve through our comprehensive analysis services. The following case studies outline in detail how BP Automation approaches challenging problems from a unique perspective to generate powerful results for our clients. 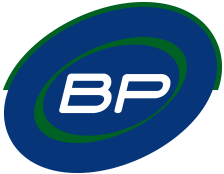 BP Automation conducted a detailed analysis of the client’s current process for welding muffler end caps. With an innovative process improvement, BP Automation helped the client increase its annual production capacity from 80,000 mufflers to 120,000 mufflers. BP Automation undertook an engineering scope analysis of the client’s manual approach to drilling water jet holes and trimming fibreglass flashing on hot tubs. A series of recommendations, including an automated material handling system, allowed the client to reduce scrap tubs by $25,000 per month. BP Automation has been privileged to be part of some outstanding design and prototype development projects. The following case studies help illustrate the innovative capabilities we can provide customers seeking proof of concept for a proprietary idea. BP Automation designed a custom robot to measure pipe lengths in order to enhance billing and shipping accuracy. The previous manual approach was plagued with errors and was extremely labour intensive. The custom robot helped the client reduce its labour by three people per day. The client was unable to meet the demand generated by Alberta’s booming construction industry for countertops. The manual cutting system was painfully slow and required a constant investment to train new workers. BP Automation designed a comprehensive set-up,cutting, and gluing and clamping system that reduce cutting time from 220 minutes to only 1.5 minutes. Our manufacturing solutions illustrate our ability to work with customers from start to finish. Discover a few of the manufacturing projects we have delivered to our clients, and determine if we can help you with your next project! BP Automation designed and fabricated a custom food processing mixer that helped the client increase product quality, eliminate WCB claims, and automate a previously labour intensive process. The client approached BP Automation after failing to find a hard banding system suitable for their application. Today, using the automated system designed by BP Automation, the client has reduced production time from 8 hours to 3.5 hours.